Lucy always loved summers on Halcyon Lake—sunning on the lake raft, relaxing on the boat, and spending every possible minute with her best friend, Trixie, and Trixie's brother, Ben, Lucy's lifelong crush. Until last summer, when one tragic event turned their idyllic world upside down. Now nothing is the same. This summer, Trixie is gone, and Ben is distant, numbing his pain with parties and a string of interchangeable girlfriends. Lucy does her best to move on and avoid this cold new Ben. She throws herself into babysitting, waitressing, and a sweet new romance with the renter next door. 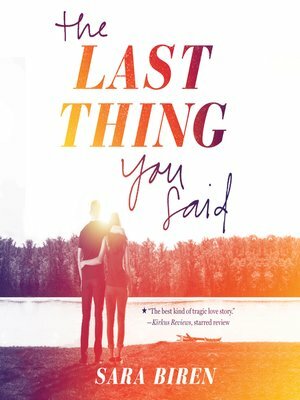 But in their small lake town, forgetting the past—and Ben—proves impossible. He still seems to be everywhere: at work, at the movies . . . and in Lucy's heart. Lucy so wants to move on, but how can she forgive when she can't forget?